This class will connect breath to movement as students flow through a series of poses. Classes will start with a warm-up and then move into a flow that will challenge strength, balance, and flexibility. Following the flows, students will end class with deep stretching and a final resting pose. Students will be offered modifications and challenges to create a deeper connection to their personal practice. We will be practicing Vinyasa style but will explore other practice styles as well; such as Traditional Ashtanga Series, Kundalini, and Hatha. Inversions and arm balances will also be taught for those who are interested in exploring those challenges. Now offered on a week-to-week basis for $15/class when you register online. 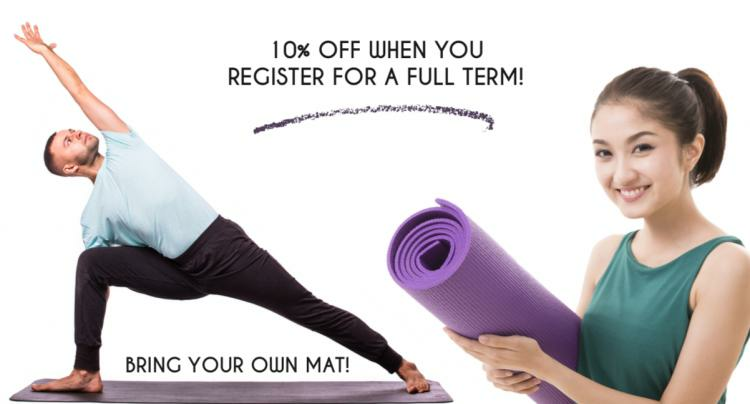 Sign up for a 9-week term and get 10% off!